This is a follow up to the previously published “For Money, Balance Your Give and Take: Part One”. Did you miss it? Well click here to catch up! How well do you really balance give-and-take? Let’s not just assume, not when we can quiz. There’s no avoiding it. When your goal is to Magnetize Money, you’ve just got to learn how to take. Balancing give and take would be lovely, though optional. But you can’t avoid this fact of life here at Earth School: To Magnetize Money, you definitely need good circuits for taking, both emotionally and materially. Financial flow is a money-related term for this. Which habits do you have? Answer TRUE or FALSE to the following seven questions. 1. Before I receive, I must give. 2. The more I give, the more I will get. 3. Because of my financial situation, I must give more than I receive, more than is fair. That’s just how my life is right now. 4. At this time in my life, I am able take more than I give, which is just fine with me. 5. There’s no point in asking for what I want. Love from my significant other means he or she will anticipate whatever I need. If I have to ask, it’s too late. He or she wouldn’t understand. 6. Provided that I keep on doing good, I will receive my reward eventually. 7. If short on cash, I should tithe or donate seed money to my church. Then God will pay me back with abundance. Yes, hello! Financial consequences flow from all of your answers, even if they are based on emotional or spiritual or religious or social aspects of your current lifestyle. So remember this. You can always change your mind. A strong position could be modified without having to be discarded altogether. Changing some of your answers to our Financial Flow Quiz could help you to Magnetize Money as never before. So let’s consider your options and beliefs related to financial flow. If TRUE: Some of us love being the one who always gives first. Certainly this sequence sets up a fine rhythm that can help a person to feel worthy of receiving. However, this belief has a downside. Automatically you’ll block your luck – things that come to you freely without your first giving a thing. Besides, what happens when you interact with another person who also, rigidly, needs to always give first? Both of you will be stuck energetically. Most likely, neither of you will receive much. If FALSE: Belief that you can receive without first giving in any particular situation, couldn’t that improve your financial flow? Today could become your lucky day… because you feel worthy to receive, whether or not you give a thing. Of course, Earth School does include universal laws, such as karma. This inevitable cause-and-effect dynamic produces consequences from every thought, word, and action. So, if you routinely take without giving back much at all, neither in advance of receiving your windfall or afterwards, your long-term prospects may not be great. If TRUE: When you’re in a glorious flow of giving, this belief can set you up to receive money galore. Say that you have talent for a particular kind of work. Giving is easy, even delightful. Of course, wealth can grow that way. Even when you contribute at work or at home without huge enjoyment, strong resolve to give can help you build long-term success. 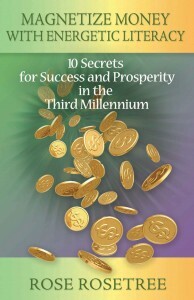 Writers who make a really convincing case for this include two of my favorites, success expert Brian Tracy and prosperity expert Emmet Fox. Unfortunately, giving can also be done in situations where a person would be a fool to expect any immediate return on investment. Think of enabling a drunk or pouring water into a leaky bucket. Giving makes a grand choice but a tragic reflex. Sometimes you work as hard as you can on something, and it doesn’t work out. The question is: How do you know when to give up? I usually tough it out longer than most people would in a similar situation – which is why I often succeed where others have failed. I also know that sometimes you have to throw in the towel. Maybe you failed, but you probably learned something valuable. Chalk it up to experience, don’t take it personally, and go find your next challenge. If TRUE: Certain financial scenarios involve giving more than you receive. You know it. Maybe the recipient knows it, too. Only you can decide if giving that much, really, is worthwhile in the long run. What if your main strategy to Magnetize Money has been to marry rich, so your whole life is focused on making that happen? Or what if Grannie Gaack holds the promise of inheritance over your head, bringing all the joy and gaiety of a lead balloon? Does that person’s money mean that much to you? How much are you willing to sacrifice? To make life choices wisely, let’s get one thing straight. Nobody can really force you to give more than you agree to give. Therefore, if you have agreed to an unfair amount of giving, you might ask yourself why. On some level you do have a choice. Even if you don’t change a thing about your external situation, an honest assessment might free up your financial flow. As for the belief about “I must give more than I receive,” that is totally negotiable. If FALSE: What could be the opposite of the “I must give” belief? “I never give more than I choose to give.” This alternative could be very empowering, leading to much greater flow of wealth. Think of a buffet-style restaurant, set up as “All you can eat.” Doesn’t it feel great to take what you wish? You’re not necessarily being greedy, merely enjoying a certain abundance. Refusing to sacrifice to the point of pain – that hardly disallows healthy amounts of giving. In fact, to an outside observer your behavior might appear identical to the behavior where your answer was “TRUE.” For instance, you might seem to treat Grannie Gaack just the same way as in our first scenario, perfectly polite, only now you are secretly laughing your head off over the lead balloon aspect. Check out her arm muscles, lifting that heavy thing! 4. At this time in my life, I am able to take more than I give, which is just fine with me. If TRUE: Resourceful Reader, a yes to this notion can really help you to Magnetize Money. It doesn’t make you ethically questionable, like some bank robber. If only you knew the whole story, you might be awed at how much you have already given, in this lifetime and countless others as well. Being truly willing to accept the payback, why not? If FALSE: So it isn’t okay with you, receiving more than you appear to give right now? You can Magnetize Money on the pay-as-you-go plan. However, you might want to reconsider. Karma from your past actions doesn’t only have to be bad, you know. If TRUE: Many a lifestyle is based on this form of give-and-take. The technical term for it, alas, is “co-dependence.” You may not have to go back far in your family tree to find ancestors who were co-dependent in ways that limited financial flow. Possibly this kind of emotional dynamic was compatible with making a great deal of money. But probably not. If FALSE: You do believe in asking for what you want? What, you call that “communication”? Excellent. That’s certainly how I would prefer to be treated on the receiving end, since omniscience isn’t one of my virtues. Co-dependence in personal relationships has a way of leaking into workplace relationships as well. The opposite choice, direct communication, can make it way easier to Magnetize Money. If TRUE: Maybe you were brought up to believe this as central to your religion. You might even have been promised an “eternal reward.” While it’s true that good karma flows from every generous thought and action, note the horrible implications in Belief #6. Fie on that sad word “eventually”! Tomorrow never comes, unless you count ideas like “Eternal reward.” Maybe Belief #6 isn’t the easiest way to Magnetize Money. If TRUE: Tithing means that you give 10% of your income to your earthly source of spiritual inspiration. The ancient custom of tithing is just plain beautiful, as well as good karma. 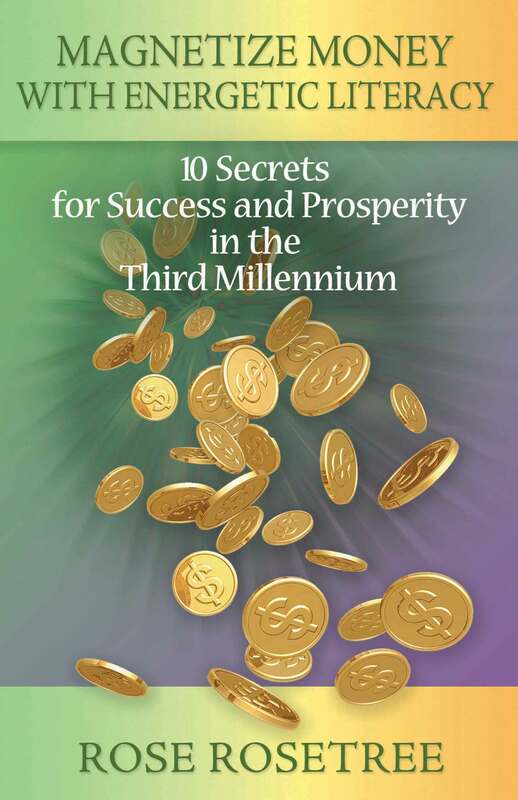 Many a prosperity writer (including two of my favorites, Catherine Ponder and Florence Scovil Shin) has described amazing spiritual demonstrations that began with giving to charity. Televangelists Oral Roberts and Joel Osteen have built their careers, in part, by inspiring the faithful to give, and give generously. In fact, Roberts was the first Protestant to popularize seed money. “If you want God to supply your financial needs, then give SEED-MONEY for HIM to reproduce and multiply,” Rev. Roberts wrote in “The Miracle of Seed Faith”. Regardless of your religious affiliation, Belief #7 can awaken the power of self fulfilling prophecy, as well as set up superb karma. Beyond that, any positive action in concert with your Highest Power can raise your vibrations, helping to improve the overall quality of your energy field. If FALSE: If funds are low, instead of requesting a heavenly bailout, you might prefer to figure out how to earn more money. You might choose to evaluate your career, the path you’re taking, and how your skill sets could bring you more money. Instead of needing more idealism, you might need less. For instance, consider the story of Abe, one of my clients. He refused a promotion and quit his job because he disapproved of the emotional dynamics of his office manager. But was Abe’s job to do therapy on the office staff? No, he was a nurse, sent out on assignments away from that somewhat dysfunctional office. Abe was the one who suffered through months of unemployment, while his imperfect boss stayed very comfortably employed. You might choose to question reflexive giving (of money, or free mental health services, etc.) as a way to fix your finances. An alternative to Belief #7 might be, “When short on cash, I solve human-level problems as best I can.” Tithing and seed money are lovely, but not when used as attempts to bribe God. Are you worried yet? Many a prosperity seeker is terrible at taking. Most success seekers need help with it, too. But I promise you. Dysfunctional give-and-take patterns from your past and present can be changed. No time is more powerful than the now. Nor is any memory more powerful than your own consciousness in the present moment, complete with your buzzing-bright aura. Sure, you can improve your God-given ability to take. Co-dependence is a good problem to rule out – or solve. Many books offer excellent advice, starting with “Codependent No More”, by Melody Beattie. Empaths can also have problems with give-and-take. Did you know that every talented but not-yet-skilled empath constantly pulls in STUFF from others? Splat, it goes right into your aura, messing up all your gifts and especially your circuits for give-and-take. Effective techniques require subtle but effortless shifts of consciousness. See www.empoweredempath.com. All three skill sets – those for empaths, HSPs, and co-dependents – can prevent problems with financial flow. To heal patterns from the past, you might also need a few professional sessions to heal old STUFF from cords of attachment, etc. So many good options! Before you avail yourself of a single one, however, try the following energetic workaround. It’s never too late to balance these two Heart Chakra databanks: Giving to Others and Receiving from Others. Patterns of imbalance can creep up on us. Over giving, you might often worry that “I need to give more.” Over-taking, you may feel as though “I never have enough.” With either imbalance, however, there’s a surprisingly easy remedy. To heal that deep balance, don’t go deeper. Go surface. Do a reality check, based on objective life. Make a list, folding the paper in half lengthwise. Use each of these headings for one of the columns: things I have given and things I have received. For context, think of a particular situation that bothers you now, related to business or your personal life or both. For three minutes, write on that topic. Write fast and free, whatever pops into your mind. Emphasize the objective facts: hours, favors, money, you name it. How do the two columns compare? Can you draw any practical conclusions about how to handle this particular relationship from now on? Following up can impact your way of living… all the way down to evolving your Heart Chakra databanks. Energetic literacy can support your balance of give-and-take, but never let the literacy itself become a distraction. In this regard, energetic literacy is exactly like all your other success and prosperity skills. None of them is meant to substitute for common sense about how to handle objective reality. For 16 years, my client Alice worked for the “Acme Accounts Association.” It seemed to her like a great success story. Alice had worked herself up from receptionist to account manager, hourly employee to salaried. Alice was proud of herself. Except, slowly, success turned ugly for this hardworking new account manager. Over a period of three years, impossible amounts of work were thrown at her. Alice kept trying to catch them. She knew the meaning of hard work. Besides, she was no quitter. Working far into the night, Alice often slept under her desk. Following this incident, Alice booked a healing session with me. Recounting her sad tale, Alice expressed amazement that she had resigned. “I still can’t believe it,” she told me. “Acme has been my life for over 16 years.” Fortunately, I could help Alice to cut her cord of attachment to that big boss. His rage and her over giving made a toxic brew. As is typical for these energy structures on the level of auras, imbalances from the cord of attachment were flowing through Alice’s subconscious mind 24/7. No matter what happened later in her career, this pattern would have kept on replaying subconsciously for the rest of her life. Except now it wouldn’t. After having the cord removed permanently, Alice went on to research career alternatives. I supplied the perspective of energetic literacy to help her evaluate whether work choices could support all her chakra databanks, not only the ones about giving. Never again did Alice want to equate “My job” with “Give 98%, Receive 2%”. Right before out session ended, my client’s voice turned thoughtful: “You know, Rose, after six months, I could have told they didn’t appreciate me. And they never would. If only I had paid attention!” As for you, right now, have you been paying attention to financial flow at work? That means objectively paying attention, not the subjective version, living as Alice used to do. Never let what you want become a substitute for what is.